Hill will also give a speech at his alma mater's commencement ceremony. 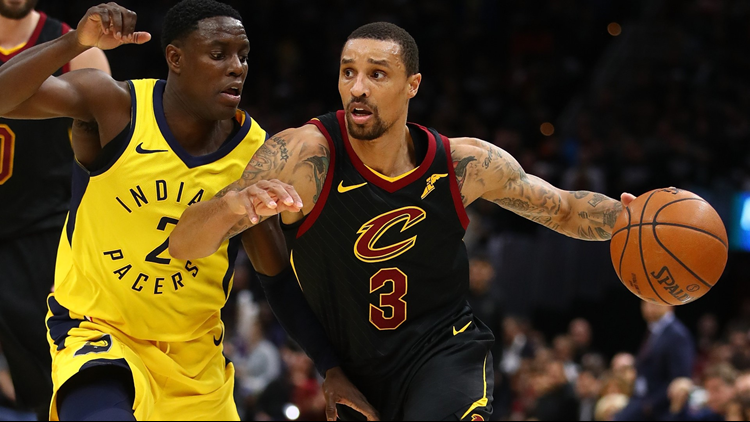 CLEVELAND -- Before heading to Boston for Game 1 of the Eastern Conference Finals this weekend, George Hill will make a pitstop back in Indianapolis. It is there that the Cleveland Cavaliers starting point guard will not only receive a degree from IUPUI's School of Liberal Arts, but serve as a student speaker at the school's graduation ceremony at Lucas Oil Stadium on Saturday. A native of Indianapolis, Hill was a standout player throughout his career with the Jaguars, averaging double-digit scoring figures in each season he played with the team. In the 2007-08 campaign, he averaged 21.5 points and 4.3 assists en route to being named the Summit League Player of the Year before declaring early for the NBA Draft with a year of eligibility remaining. Selected by the San Antonio Spurs with the No. 26 pick of the 2008 draft, Hill also spent time with the Indiana Pacers, Utah Jazz and Sacramento Kings before being acquired by the Cavs at the NBA trade deadline this past February. In his short time in Cleveland, the 6-foot-2 guard has already made a big impact, particularly in the Cavs' four-game sweep of the Toronto Raptors in the Eastern Conference Semifinals, in which he averaged 10.3 points and 3.0 assists. After receiving his diploma on Saturday, it will be back to basketball for Hill on Sunday, when the Cavs face the Boston Celtics in Game 1 of the Eastern Conference Finals at 3:30 p.m. ET.